Annie Get Your Gun! | McServed: Getting Served McDonalds Fast Food Funnies, Laughs and More! 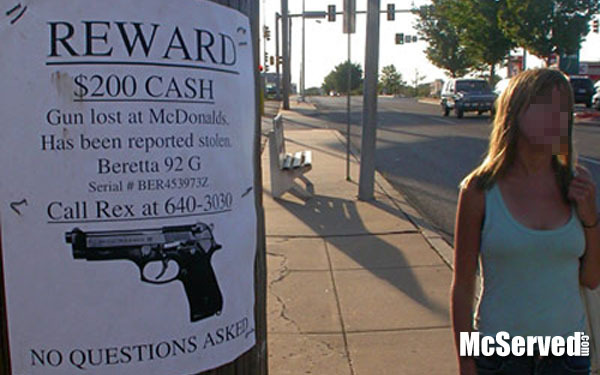 Search flyer put up for a gun lost at McDonald’s. No questions asked. Pictures, Signstags: gun, lost, lost and found.